It was a familiar scene: hundreds of angry people in the dense urban streets of a big Pakistan city, whipped up by rumors that someone had defiled a Holy Quran. Pounding on doors. Throwing rocks. Demanding blood. 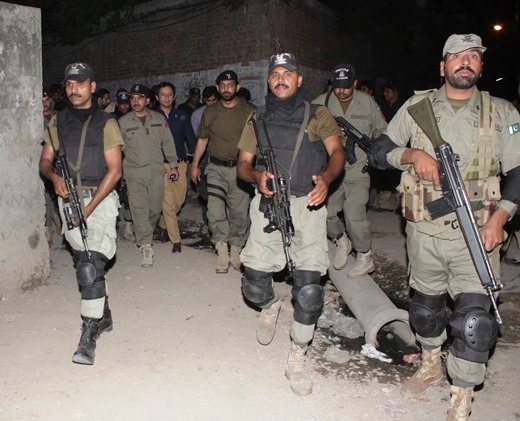 This time, however, something unusual appeared in the Sandha sector of Lahore, Pakistan’s second city: police, backed by specialist national troops, charged into the mob to drive them away. They arrested dozens of people. “It is the first time the government has succeeded in acting in time to save both the people and their homes,” Archbishop Sebastian Francis Shah told the international Catholic charity Aid to the Church in Need. The May 24 violence began, according to news accounts published in Pakistan, about two kilometers south of the Sandha district, where Humayyun Faisal, who works for Lahore Waste Management Company, was sweeping roads. Residents of the area spotted a man they said was burning pages of the Quran. A crowd quickly gathered and was preparing to “burn him alive,” one witness later told reporters, before police took the man into custody. Local Christians felt they had no option but to see Faisal taken in for his own immediate safety – he was well-known in the area as having severe mental health problems, and as a drug addict. Police charged Faisal, 30, with desecration of the Quran, punishable with life imprisonment (in Pakistan that means 25 years). The law, widely popular among the country’s voters, also is widely condemned by human-rights organisations around the world. Though Faisal was in police custody, about 300 people marched on the Gulshan-e-Ravi police station at about 4 p.m., holding signs saying the Quran had been desecrated. Then they moved into the small Christian neighborhood where Faisal had lived prior to his arrest. Officials from the Lahore and Punjab state government repeatedly urged the crowd to peacefully disperse, to no avail. The mob pelted the police with stones, injuring several, including Haider Ashraf, the police deputy inspector general for operations. “Some were demanding that the suspect be immediately executed in front of the public,” Ashraf told World Watch Monitor. Two months earlier, after two suicide bombers blew themselves up outside two churches in a Christian neighborhood in the Youhanabad district of Lahore, an angry mob snatched two suspects, both Muslim, from police custody and burned them. The men later were declared to have had no connection to the bombings. Pastor Riaz Malik, a resident of the Christian neighborhood, told World Watch Monitor he was passing by the Gulshan-e-Ravi Police Station and had seen the protest. “I immediately reached home and alerted everyone in the street of a possible attack,” he said. Initially there were young men who called names and kept calling others to arrive there, Malik said. Another resident, Sharafat Randhawa, told World Watch Monitor he was trapped in his home with his wife, daughter, two daughters-in -law and a grandson. Elishba Alamgir, 20, called her father at about 6 p.m. and told him men were trying to enter the house, which became a target because it was in front of Faisal’s house. “My daughter and son were alone at home when this attack took place,” said the father, Chaudhry Alamgir, Vice President of the Minority Wing of the Pakistan Muslim League-Nawaz (Lahore Chapter). A Punjab provincial Minister, Rana Mashhood Ahmed Khan, and Muhammad Usman, head of the district civil authority, asked Punjab provincial Chief Minister Shahbaz Sharif to dispatch two contingents of Pakistan Rangers, a paramilitary force that provides border and internal security during peacetime. Police lobbed tear gas into the protesters, then charged into the crowd with batons. 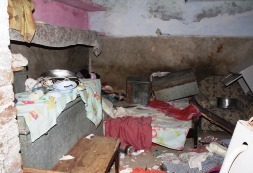 The Sandha Police Station registered a case against 48 people, charging them under Pakistan’s anti-terrorism law. With the Rangers in place, the crowd dispersed and the situation was under control by about 10 p.m.
Pakistan’s national and provincial authorities have not always ordered a prompt police response to religiously motivated violence. This time it was different.